RHOBH's Lisa Rinna Calls Out Lisa Vanderpump for Acting Like a Diva! VIDEO: Lisa Rinna Reveals One of Her RHOBH Castmates Acted Like a Diva & Refused to Take a Photo With the Cast! Was it Lisa Vanderpump? Has Lisa Vanderpump been acting like a diva amid filming on The Real Housewives of Beverly Hills season nine? 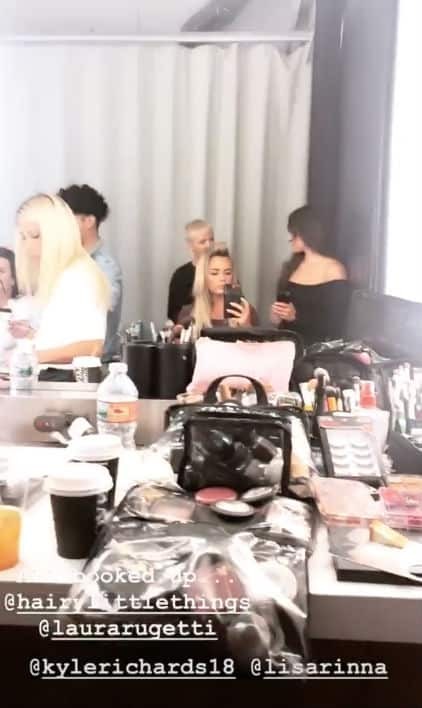 It appears there might be a rift between Vanderpump and her castmates after Lisa Rinna shared a telling video on her Instagram Stories in which she revealed one of her co-stars was refusing to come out of their dressing room during a cast photo shoot. “We’re here shooting, the whole cast is here,” Lisa R. began in her now-deleted video she shared on September 17. “Who could it be?” she added. 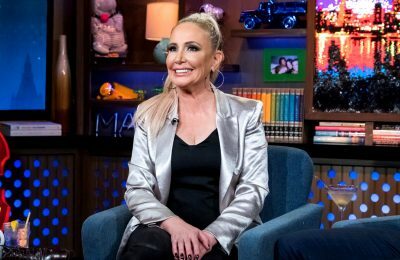 Although Lisa R. has since deleted her post, an Andy Cohen fan page on Twitter obtained a saved clip from the video and shared it with their readers on Monday. Right away, many fans began trying to figure out who this person was and through the process of elimination, it became clear that Lisa R. was referring to none other than Lisa V.
For starters, Kyle Richards and Teddi Mellencamp were seen getting ready with Lisa R. So, neither one of them seem to be the diva in question. Denise Richards was also tagged and seen in a video shared by Kyle. 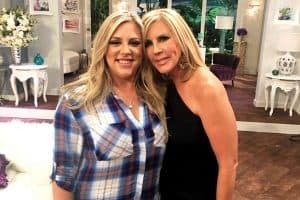 As fans may have seen, Denise recently said she has no issues with any of her co-stars and a number of the ladies spoke highly of her as well. 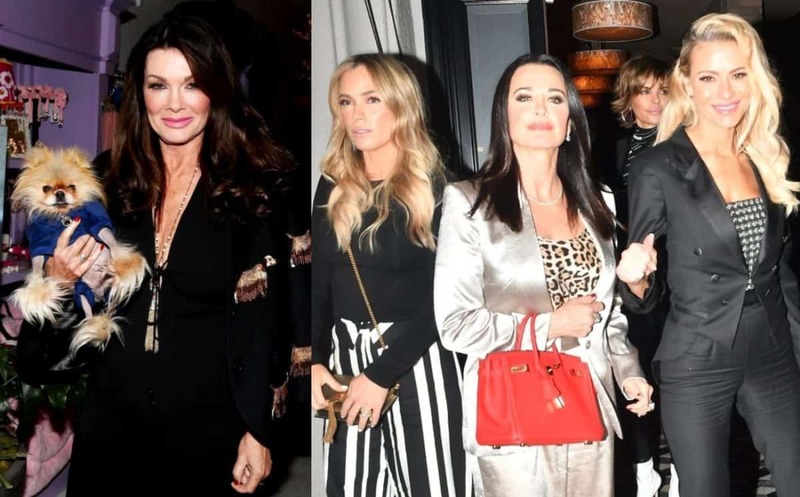 In addition to this shady video shared by Lisa R., fans of the show also took note that none of the RHOBH ladies wished Lisa V. a happy birthday this weekend after Lisa V. celebrated her 58th birthday on Saturday, September 15. In the past, the ladies usually wished their castmates a happy birthday on their social media pages but it was crickets over the weekend for Lisa V. Also, Kyle has been spending more time hanging out with Teddi lately, and hasn’t been seen with Lisa V. in quite a bit. Below is Kyle’s birthday dedication to Lisa V. from last year. The birthday snub is more evident as just two weeks ago, on September 2, Kyle took the time to wish Camille a happy birthday on Instagram. 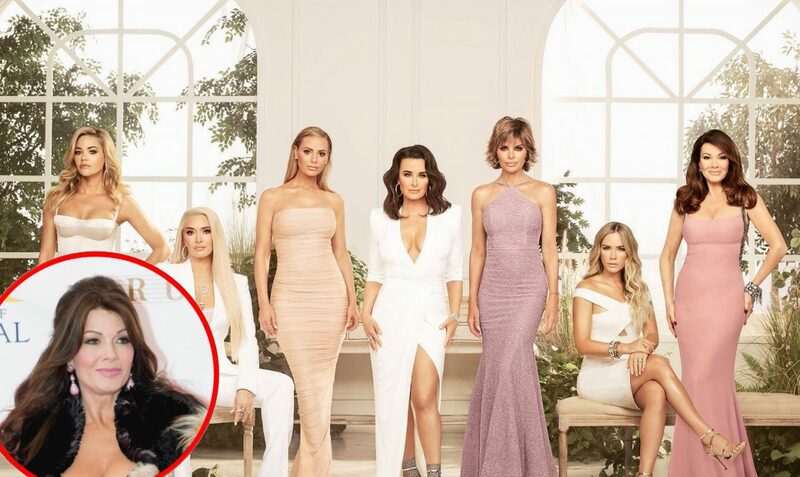 A look at Kyle’s page also shows she hasn’t posted a photo with Lisa V. since April when she shared a photo of the RHOBH cast at the reunion! 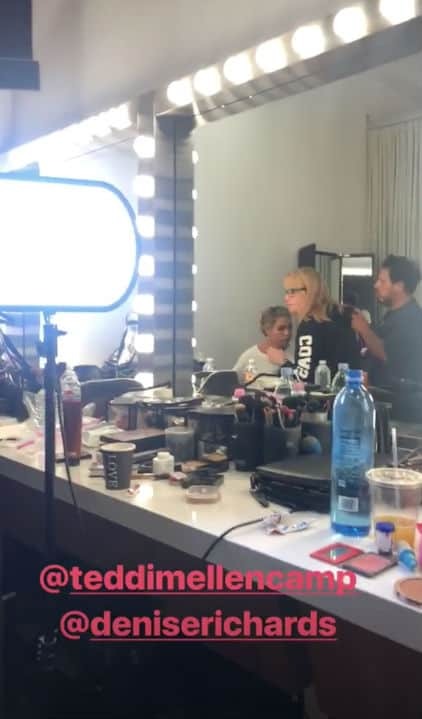 She has however been posting an abundant number of pictures with the rest of her castmates, most recently sharing the photo below of herself and her new BFF Teddi just yesterday. Also, reports in recent weeks have claimed that Lisa V. has been involved in different feuds with Dorit and Denise. The Real Housewives of Beverly Hills season nine will begin airing on Bravo TV later this year. TELL US – THOUGHTS ON RINNA’S POST? DO YOU BELIEVE VANDERPUMP WAS ACTING LIKE A DIVA?